French brand Petit Bateau has joined forces with Japanese animation studio Studio Ghibli on a cute clothing collection for fall 2018. The capsule is inspired by the studio's iconic animations and reinterprets one of the brand's signature classics -- the sailor-stripe top -- with new colors and motifs. The stripes of Petit Bateau's emblematic sailor sweater take center stage in this ready-to-wear collab, which has something for all the family. The brand's knitted cotton pieces are reinterpreted in designs for men, women, kids and babies, inspired by famous characters and scenes from four Studio Ghibli films. 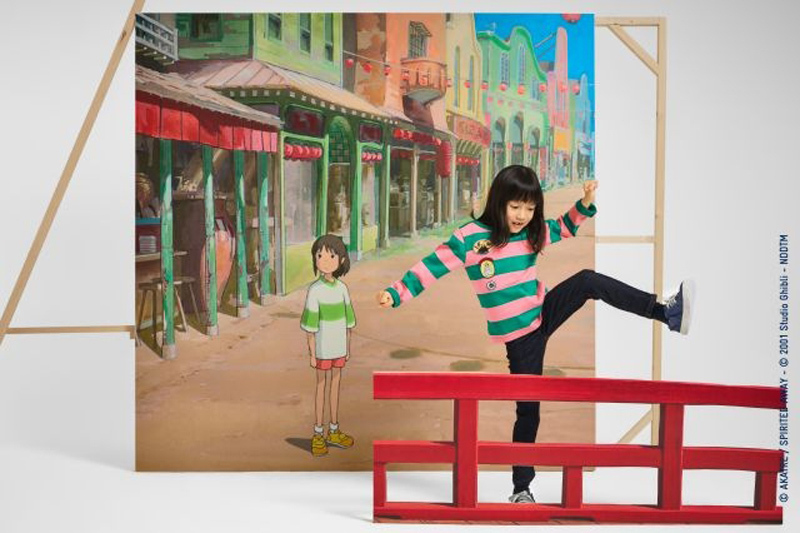 The Petit Bateau collab focuses on iconic scenes from four films directed by one of Studio Ghibli's founders, Hayao Miyazaki: "Princess Mononoke," "Spirited Away," "Ponyo" and "My Neighbor Totoro," which celebrates its 30th anniversary this year. The French brand has transformed each of the scenes into a color combination, specially concocted in the brand's color lab in Troyes, France. Sailor stripes are both slim and wide in the collection, in perfect harmonies of blue, green and pink. Other contrasting combos include navy blue and white, green and pink, and gray and black. The stripes are paired with prints, embroideries and patches featuring key characters from the four Studio Ghibli works. The collection comprises a wide choice of long-sleeve T-shirts for all the family, as well as underwear, dresses in kids' and adult sizes, and waxed raincoats. The collaboration will sell exclusively at the Petit Bateau store on the Champs-Elysées in Paris and online at www.petit-bateau.fr from October 17, before rolling out to selected stores in France and worldwide the following week.